Velas is located in Mandangad Taluka of Ratnagiri District 230 kms away from Mumbai & 200 kms away from Pune. Velas is a coastal town famous for its Beach, Harihareshwar Temple, Bankot Fort and Turtles Festival. 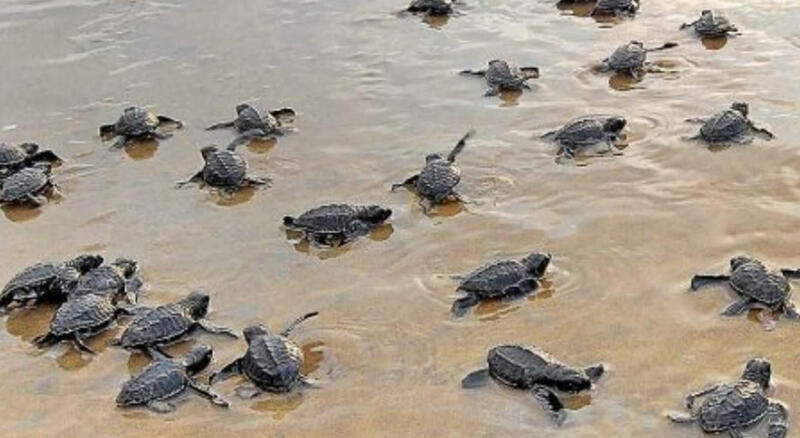 The festival is about witnessing the birth of the turtles, how they break the eggs and crawl their way into the ocean to start off their journey of life. This Olive Ridley Turtle festival is organized by local villagers in co-ordination with an NGO named as Sahyadri Nisarg Mitra. Highlights- 3 opportunities to view egg hatching /Velas beach / ferry ride / Bankot Fort/ Harihareshwar temple. Please reach Dadar near Pritam Hotel at 09:45 pm and by 10 pm we will head to Velas to enjoy the Olive Ridley Turtle Festival. We will reach Velas village around 5:30 am. We will head straight to the beach to witness the breaking of Eggs by the Turtles. We will head for breakfast around 07:30 am. Enjoy the home stay in typical Konkani House and culture. You can unpack your bags, freshen up and relax for some time before we proceed to Bankot Fort. We will head to Bankot Fort around 11 am. Enjoy the Fortification wall and cannons available at the fort. The view from fort will gives ample opportunity to witness the Arabian Sea along the Velas coastline. We will head back to our Konkani House around 12 noon as we’ll feast on the meals made by the local villagers. We will head to Velas Beach around 5:30 pm to witness the birth of Olive Ridley Turtles again. After the sightings, we will explore the beach to watch the sunset. We head back to enjoy our dinner. Savour the local delicacies of Vegetarian and Non – Vegetarian dishes. Post Dinner we will play some fun games like Antakshari, UNO, Group games,etc. Lights out around 11 pm. Wake up at 5 am and freshen up. We will proceed to the beach in 1 hour to witness the turtles for the last time. We will proceed to the Velas Beach around 6 am to watch the turtles crawl back into the ocean. Around 7:30 am we will head back to have our breakfast. Pack your bags as around 10 am we will leave for Harihareshwar Temple through a Boat Ride. We will reach Harihareshwar Temple around 11:00 am. Take the Blessings of Bappa as we will head to fill our stomach with Lunch. We will have lunch around 1 pm in a nearby Restaurant. Post Lunch We will head back to Mumbai. We will proceed to Mumbai in our transfer vehicle around 2 pm thanking Velas and our fellow travellers for providing one of the best experience.